FREE educational app – Pattern Shapes is another great math manipulative from the Math Learning Center. The app features three backgrounds: blank, square grid, or triangular grid. 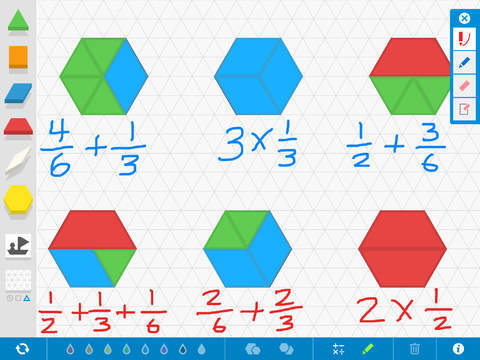 Younger students can use Pattern Shapes to fill in outlines and/or create their own designs. 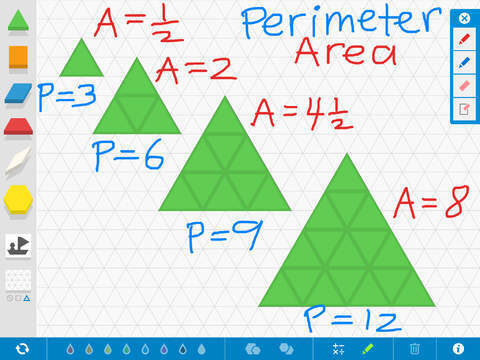 Older students can use the app to explore a variety of math concepts: geometric relationships, fractions, perimeter & area, angles, symmetry, etc. The app has plenty of flexibility. Shapes can be rotated in 15 degree increments. Their color and size can be changed and/or duplicated. There are drawing tools & text tools available so students can explain their work. After using the app to show their understanding, students can screen shot their work to email to their teacher. Or, how about creating a digital math portfolio in a writing/diary app? Then students could add their work to their portfolios. Another fantastic tool for your digital math toolkit!